The Polish women’s national team is currently preparing for its last two games in the EHF EURO 2016 Qualification and if everything goes well, Kim Rasmussen’s squad will be book a spot at the final tournament in Sweden already after in first match against Finland on 1 June. Provided that Slovakia do not win against Hungary – the match also takes place on June – combined with a Polish victory in Finland, would guarantee Poland’s fourth consecutive participation at a major tournaments, following the World Championships 2013 and 2015 and the EHF EURO 2014. 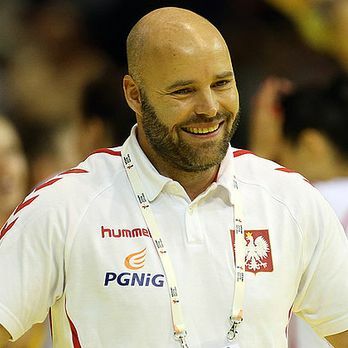 Three days after the game in Finland Poland play at home in Płock against Slovakia and it will be the last encounter of Kim Rasmussen as a Polish head coach. The Dane will take the over Hungarian national team in the summer. “It has been some fantastic six years with a marvellous team. I don’t know if it is a record in the history of Polish women’s handball, but for a foreigner being a head coach for such a long period is a huge achievement. I’m proud of this,” said the 43-year-old Dane. No one knows who Rasmussen’s successor is going to be, and it is not certain that the Polish Handball Federation will choose another foreigner. One thing is clear though: The expectations towards the women’s national team after it reached the semi-final at the World Championships in 2013 and 2015 are pretty high in Poland. And that holds true despite the fact that the national Superleague is not the strongest in Europe. Champions MKS Selgros Lublin did not win a single game in the EHF Champions League this season. Poland will face Finland and Slovakia without a lot of important players. Line player Patrycja Kulwińska and left back Małgorzata Stasiak are pregnant, while the two young wings Aneta Łabuda and Joanna Gadzina, who both played at the World Championship 2015 in Denmark, are injured. Furthermore Alina Wojtas is still recovering and has not played since April 2015. However, all in all Poland are clear favourites to qualify for the EHF EURO 2016 in Sweden. Their position in Group 5 in which they lead together with Hungary, in particular courtesy of their away victories against Slovakia and Hungary, is comfortable.